Parents Magazine and Dreft want Moms and Dads a chance to show off their messy babies. 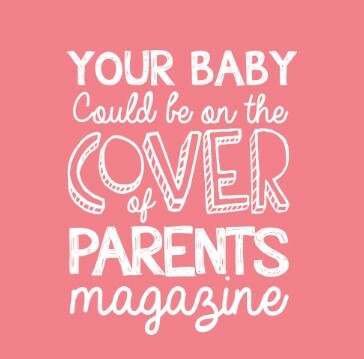 Share and you could win a years worth of laundry detergent AND have your baby on their cover! (10) Finalist Prize Packages: A Parents magazine photo shoot prize package for Photo Contest Finalist and his/her child depicted in the Contest Entry during the month of January 2017, including: Round-trip coach-class air transportation for Finalist and his/her child from the major U.S. airport nearest Finalist's home (determined by Sponsor in its sole discretion) to New York, NY or Newark, NJ ARV $1,500; Ground transportation between airport/hotel/photo shoot location, ARV $350; Three (3) days and two (2) nights standard hotel accommodations at a hotel of Sponsor's choice (one (1) room, double occupancy), ARV $900; A stipend of $250.00 (awarded as a Visa gift card) which may be used for food and miscellaneous expenses while in New York City ARV $250; five (5) bottles of Dreft Active Baby Detergent 50oz. ARV $60, five (5) bottles of Dreft Blissfuls 13.2 oz. ARV $40. ARV of Photo Contest Finalist prize package: $3,100.00 each.